The BlackBerry Evolve and the BlackBerry Evolve X are look-alike Android phones from BlackBerry. These phones come with a premium body design and features. They sport the same design and screen size, however, there are some features on the inside that can differentiate them. 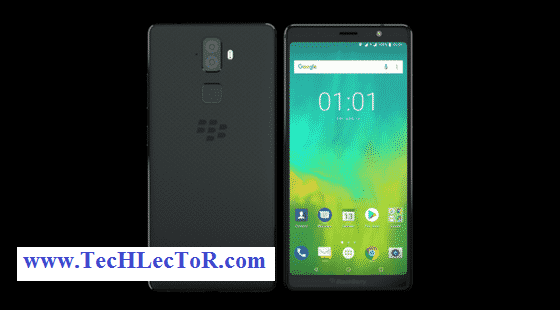 In this article, we will be looking at the comparison between the BlackBerry Evolve and the BlackBerry Evolve X.
BlackBerry Evolve VS BlackBerry Evolve X: Design. BlackBerry Evolve VS BlackBerry Evolve X: Display. BlackBerry Evolve VS BlackBerry Evolve X: Camera. 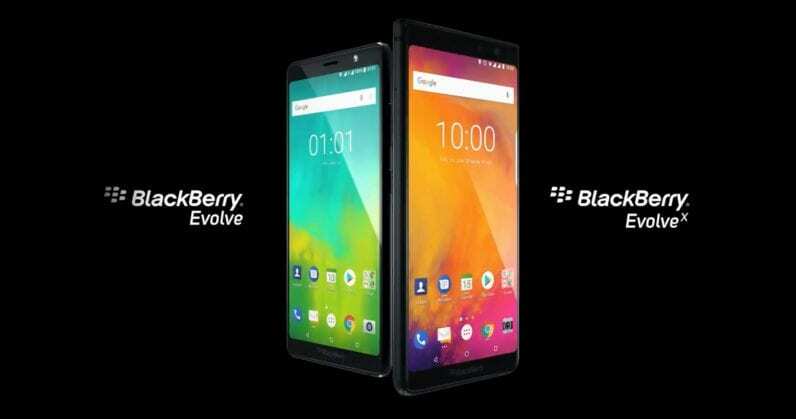 BlackBerry Evolve VS BlackBerry Evolve X: Performance. BlackBerry Evolve VS BlackBerry Evolve X: Battery and Price. Both the BlackBerry Evolve and the BlackBerry Evolve X comes with the same design on the body. They are built with the combination of Aluminium alloy and Polycarbonate material. BlackBerry Key2 VS BlackBerry KeyOne: any major differences? Sadly they don’t have body protection and they are available only in Black colors. Another impressive feature of this duo phones is that they are both water and dust resistant. You will also get a fingerprint scanner on the back for security. Both phones arrive in 5.99” IPS LCD of Full HD+ resolution and 18:9 ratio. They have a screen resolution of 2160 x 1080 Pixels with 403 pixels per inch density. The screen is equipped with 2.5D Curved Glass which is scratch resistant in relation with IPS capacitive touchscreen display panel. On the back, both phones come with a dual camera set-up. They have 12 Megapixels + 13 Megapixels with a dual-tone LED flash coupled with other great features. This sensors also shoot 2160p video resolution at 30 seconds per frame. On the front, you will get 16 Megapixels with f/2.0 accompany with LED flash as well which will enable you to take a clear selfie at night and to also make video calls. It’s on the hardware you will sport the difference. The BlackBerry Evolve is the more affordable member of the duo. So the phone has a less processor and RAM. It has a modest Snapdragon 450 chipset built on an efficient 14nm process technology which will offer great performance with less power consumption. The Octa-core CPU is running at a speed of 1.8 GHz and RAM is 4GB. It has internal storage of 64GB which can be expanded using micro SD slot. 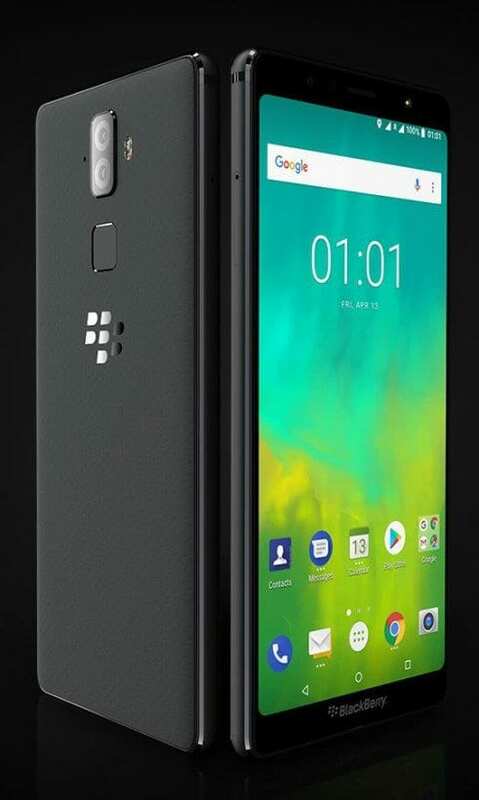 The BlackBerry Evolve X is the flagship of the duo. The phones pack an impressive processor of Snapdragon 660 chipset with octa-core CPU, clocked at 2.2 GHz. It has an ample RAM of 6GB with Adreno 512 GPU. The internal memory is 64GB and you can expand it up to 256GB via micro SD card. The two phones have a massive battery capacity of 4000mAh and they are powered by Oreo operating system. You will charge the phones with USB-C port and is compatible with Quick Charge 3.0 and USB Power Delivery. On the price, the BlackBerry Evolve will cost around $350 while the BlackBerry Evolve X will sell at a price of $510. You can buy any of the phones on starting from September 2018 and it will be available on Amazon exclusively.